With A listers like Miranda Kerr and David Gandy still swearing by the benefits of Rosehip Oil it’s no wonder this most sought-after ingredient is still a huge skincare buzz in the industry. 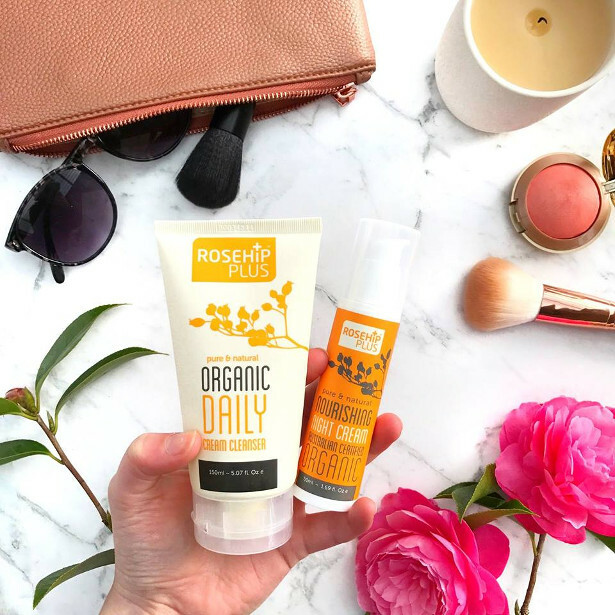 The benefits of Rosehip Oil are endless; from reducing the appearance of stretchmarks to soothing sun burn, and can can be used as part of a daily routine for both men and women of all ages, even those with the most sensitive skin. With so many products on the market, there’s only one which stands out from the rest…. the RosehipPLUS range, hot off the shores of Australia and now available from John Bell and Croyden, www.treatyourskin.com, www.allaboutbeauty.com and www.thefragrancecounter.com. 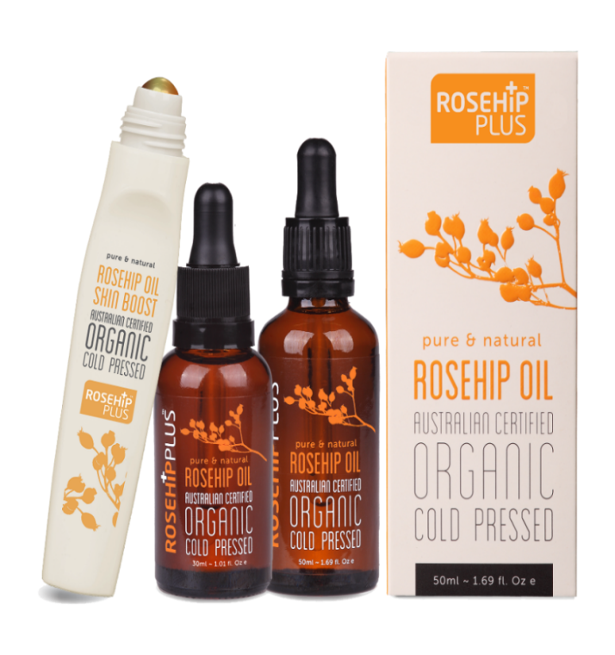 Certified organic cold pressed, every product in the range contains oil from the highest quality Rosehip seeds sourced from the Southern regions of Chile. The oil is extracted from the seeds without heat, solvents or chemicals, guaranteeing the oil’s purity and quality. 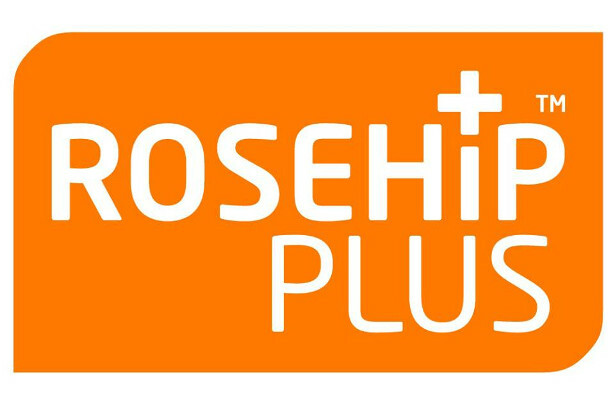 Rosehip PLUS only use the seeds from the rosehip berry but some other oils can have a dark reddish hue, this is mainly due to the flesh from the berry being used. Rosehip Plus are the ONLY range to remove the flesh from the berry before pressing, hence it’s warm golden colour. This one-of-a-kind technique means that the maximum levels of nutrients are retained, ensuring that skin gets all the goodness from Rosehip Oil. 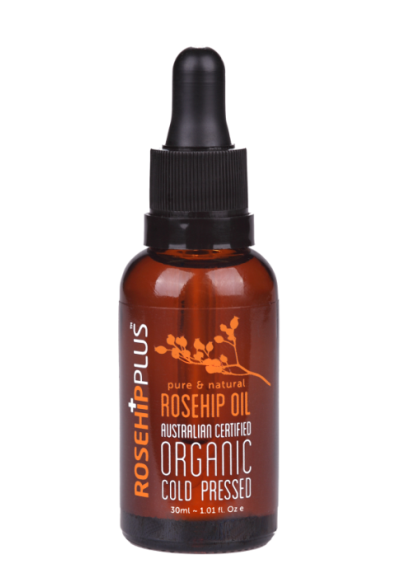 RosehipPLUS Rosehip Oil 15ml for £10.00, 30ml for £15, 50ml for £25 the oil is enriched with Vitamin A which works to fight the signs of ageing, Vitamin E – a powerful anti-inflammatory, Vitamin C – this gives skin antioxidant benefits, Omega 3,6 & 9, Lycopene and Beta-Carotene. 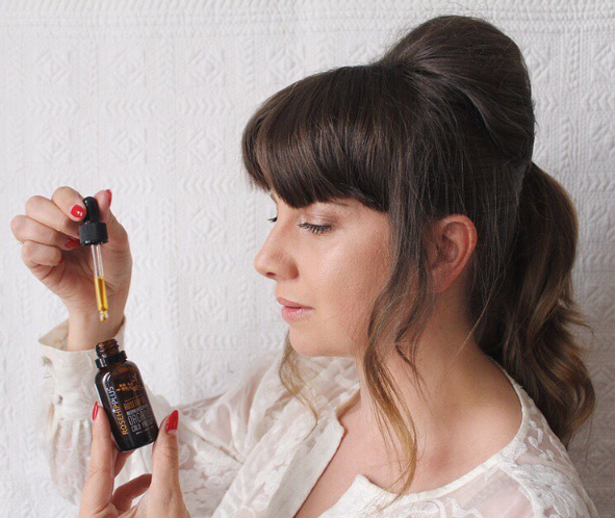 The wonder oil also reduces the appearance of stretch marks and scars with its hydrating properties while also working to fight the signs of ageing by minimizing the appearance of fine lines and promoting skin elasticity. 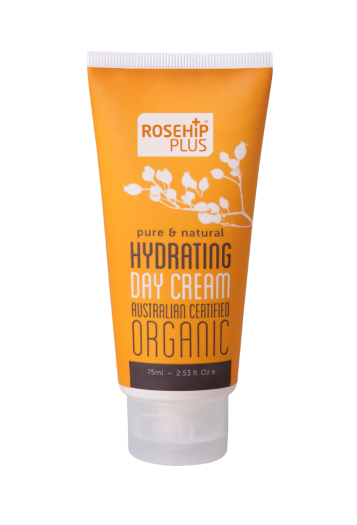 The RosehipPLUS Hydrating Day Cream, 75ml, £24.00 is a daily moisturiser enriched with pure Certified Organic Rosehip Oil, as well as chamomile, avocado and rose geranium. 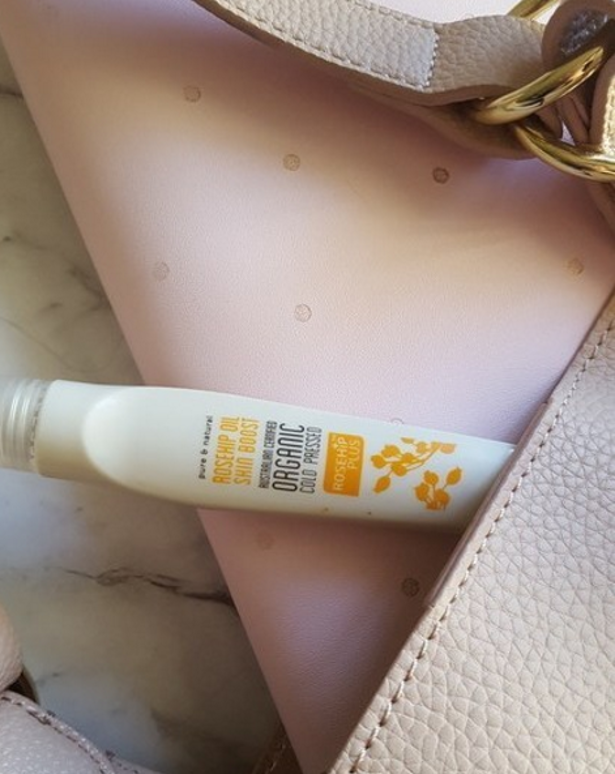 These ingredients work together to support and encourage healthier looking skin; the day cream maintains skin hydration and softness while also protecting your complexion against fine lines. Skin replenishes itself overnight so it’s essential to have a cream that works hard to rejuvenate and replenish. 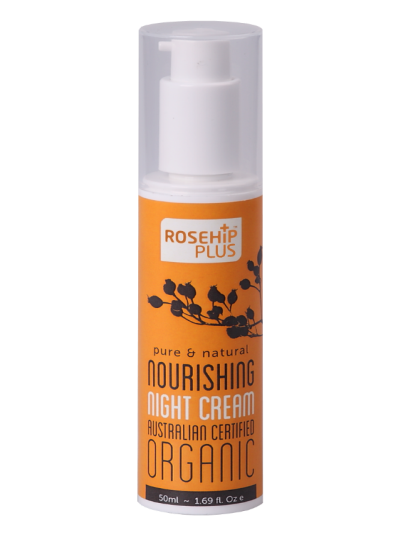 The RosehipPLUS Nourishing Night Cream, 50ml, £29.00 helps to maintain skin hydration and softness. This nightly cream improves the appearance of fine lines by promoting skin elasticity and texture. The combined natural ingredients of cocoa seed butter, jojoba seed oil and shea butter combine together to make sure you always wake up to beautiful, refreshed skin. 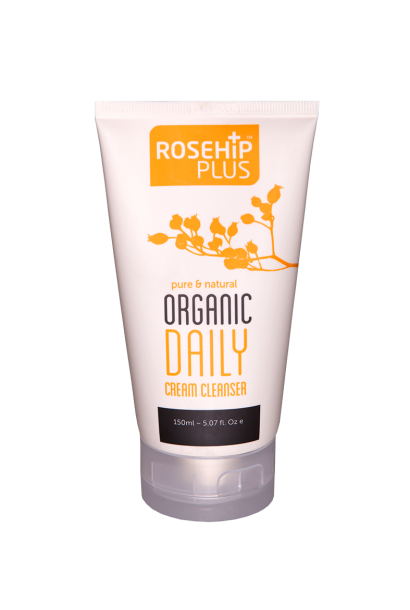 The RosehipPLUS Daily Cream Cleanser, 150ml, £19.00 is a cream based cleanser, blended with Organic Rosehip Oil, Jojoba and Sea Buckthorn essential oils to maintain the skins perfect moisture balance. The cleanser can be used to remove make-up and impurities from the skin which will leave you feeling refreshed and prep skin perfectly for the rest of your regime.